The speaker mic includes dual push to talk buttons to work with the new redesigned system on the BaoFeng UV-82. As a perk! 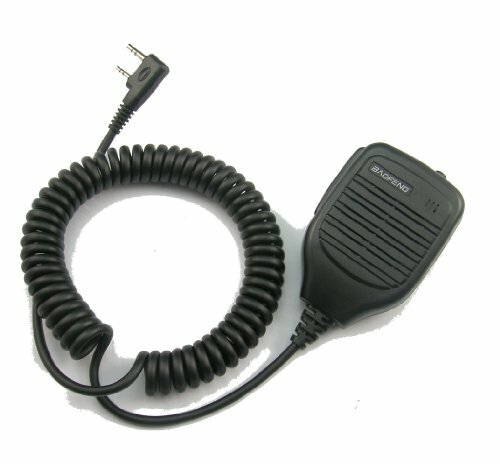 - The cable is still backward compatible and can be used on all models of BaoFeng - on models of BaoFeng that do not have the dual push-to-talk system the top button will simply not do anything. Has a remote microphone with Dual push to talk button - don't mix up your conversations - the buttons coordinate with your display! The upper / top button will access the upper frequency on your UV-82, while The lower / side button will access the lower frequency on your UV-82.